This card is for the Flourishes Timeless Tuesday Challenge #122. This card is a 5 x 5square of Bravo Burgundy. 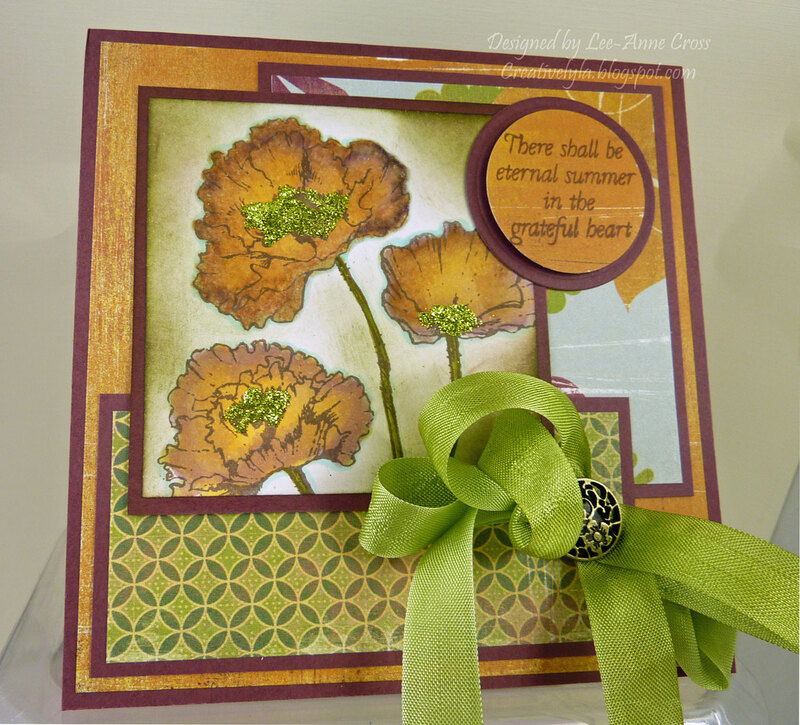 I’ve stamped the Flourishes poppy images in Memento Rich Cocoa and colored them with Copics. Then I added a little Martha Stewart glitter for some bling. Simple layering of the designer paper from Basic Grey over Bravo Burgundy. The sentiment is popped up on a dimensional for some added interest. And I’ve added a seam binding bow that’s been inked with some Always Artichoke to add some depth. Hope you have a fantastic weekend, everyone!